There is a new favorite cookie in my galley. 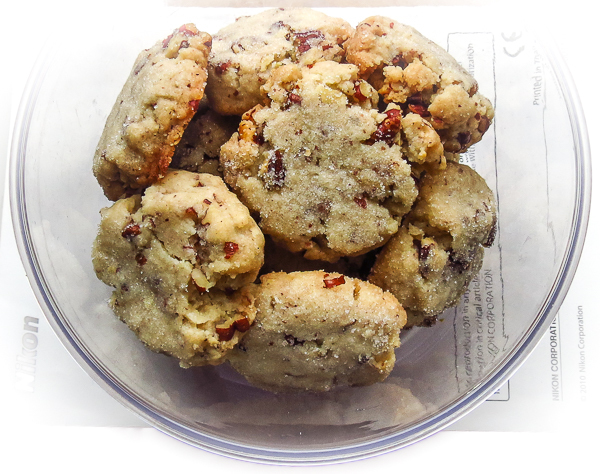 Yes, it's shocking but true, Cruising Cookies dropped to "also-ran" status last week as we consumed batch after batch of Toasted-Pecan Butter Cookies. Granted, they were small batches of small two-bite treats, but that's still a lot of cookies. How good were these soft yet crunchy, buttery baked goods? Guests enjoyed them, even those on diets, and one of the boatyard mechanics asked for the recipe. It is hard to resist a cookie that combines the rich, buttery flavor of shortbread and butter cookies topped with a sprinkle of sugar. Soft, really soft butter was the key to ease of forming the little dough balls. They firmed up nicely as I rolled each scoop of dough between my palms, and flattened without crumbling. Dough balls using a colder butter stick resisted compression and were harder to work with. Ahhh, the range between early morning "room temperature" and late afternoon "room temperature" made such a difference! Try a batch and see if these nutty cookies become your favorites. Betcha can't eat just one! Preheat oven to 350 degrees. On a baking sheet, toast pecans until fragrant, about 6 minutes. Let cool completely and finely chop. Use an electric mixer to cream butter and 1/3 cup sugar until light, about 1 minute. Beat in the remaining ingredients (vanilla, almond extract if using, salt, and flour), scraping down sides of bowl, just until dough comes together. Fold in pecans. Use a small cookie scoop or a tablespoon to gather small balls of dough; roll and pack into compact balls. Roll in sugar and place 2 inches apart on prepared cookie sheets. Gently press with the bottom of a glass to flatten slightly; reshape the sides as necessary. Sprinkle with sugar. Last year on this date we were anchored in Gut Bay, SE Alaska (link), watching grizzlies out the window and enjoying just-caught prawns in the galley (link). Alas, this year we are still ashore at the lake house, delayed by my health issues and some long overdue house projects. Home repair and exterior painting drag on ...and on ...and still await final completion. Why is it so hard for contractors to finish the last 10% of any project?! 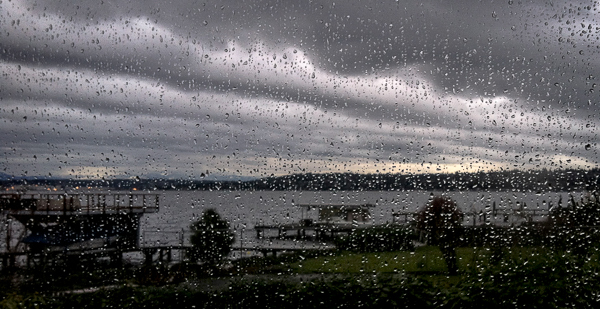 I can't grumble too much, life on the lake is such a treat. Currently dawn lights up the neighborhood well before 5:00am and there's always something happening along the waterfront. Lake turtles bask on shoreline rocks, half a dozen heron hang out on the docks and piling, various water fowl cruise by trailing their new hatchlings. This particular heron spends long hours each day fishing in front of the house. We've taken a gazillion photos of his various poses, but are still waiting to catch a shot of him with a wriggling fish. 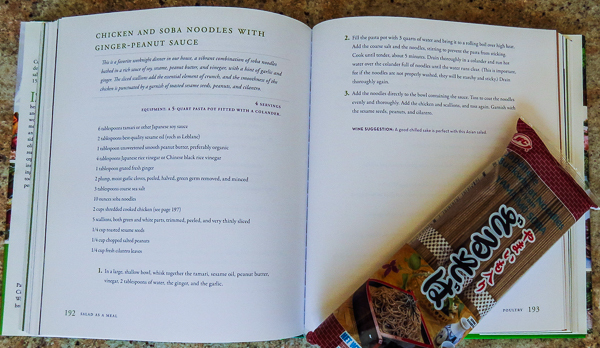 online food blogs and Pinterest pages are valued sources of recipe inspiration, but I still love print cookbooks. I read them like novels and scribble notes all over the page margins. Our library would frown at notations so I end up buying more cookbooks than any one person needs. Overwhelming temptation just arrived close to home when a local grocery relocated and Third Place Books and Raconteur eatery now fill the remodeled space. (link) Oh, my! it's futile to try and resist the lure of used books so close to home - so I didn't. These three came home with me on my first visit, a small sample of the many tempting volumes, used books mixed in with new on the shelves. I'll check out main floor coffee bar on my next visit, leaving the downstairs pub and all-day restaurant for a later date when the menu and service have shaken out a bit. Meanwhile, the Cupcake book will migrate to Hilary's kitchen and I'm already enjoying salad recipes from the Patricia Wells cookbook. It's time to pick out some of my under-used cookbooks to sell or donate, just to make room on my bookshelves for any future impulse purchases. protein powder entered the pantry for the first time, recommended by a nutritionist. No success story here, my GI system vehemently rejected it. Too much information?? Sorry. 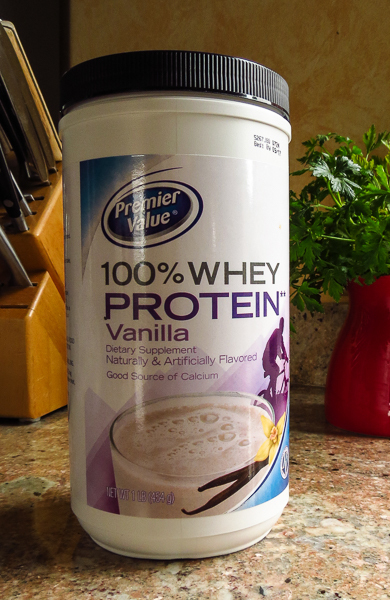 Now I'm researching other ways to boost protein intake, something (anything!) besides more quinoa. Any suggestions? Thanks for stopping by. Leave a comment or a link to your kitchen if you like. To see what's happening in other kitchens around the globe, click over to Maureen's post at OrgasmicChef. You'll find a list of links in the right-hand margin as well as several more in the comments. Buckwheat soba noodles plus chicken and assorted vegetables equals a whole-meal salad with an abundance of tastes and textures. Yum! A new medication has radically changed my tastebuds, making cooking and meal planning a whole new adventure. Citrus bites, too harshly acidic. Shrimp tastes metallic and no longer pleases. My favorite chile peppers and sriracha sauce now burn my mouth. Even coffee seems too bitter to enjoy. Aaaargh! So I'm playing with different spices, fearlessly swapping out ingredients in recipes old and new, and occasionally have to resort to a bowl of cereal for dinner when the new approach does not work. RL hasn't complained yet, so the process continues. 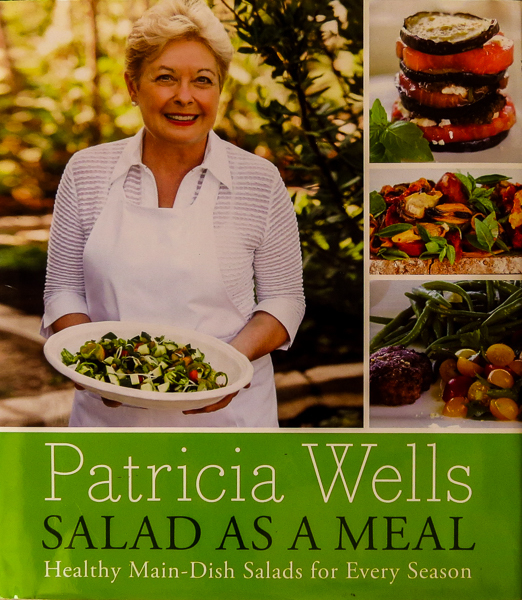 What a perfect time to work my way through my new Patricia Wells cookbook, Salad as a Meal: fresh ingredients, healthy eating, and an opportunity to tailor a new recipe to my taste. I skimmed the chapters, glanced at the index and found many tempting choices. Buckwheat soba noodles and chicken sounded interesting, so I began with my own version of Wells' "Chicken and Soba Noodles with Ginger-Peanut Sauce". 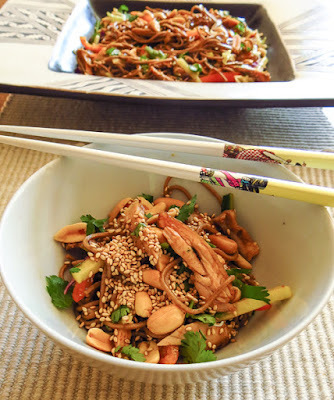 Swapping peanut sauce for peanut butter and adding 3 cups of chopped raw vegetables were the major changes. Cilantro has now joined parsley on my new list of Not-So-Good herbs, so I will omit it in the future. Visually interesting, this colorful Asian noodle dish rated two thumbs up today at lunch. The sauce pleasantly surprised my tastebuds with layers of flavor; sweet, sour, salty, faintly bitter and perhaps even a hint of umami (savory/meaty) as well. 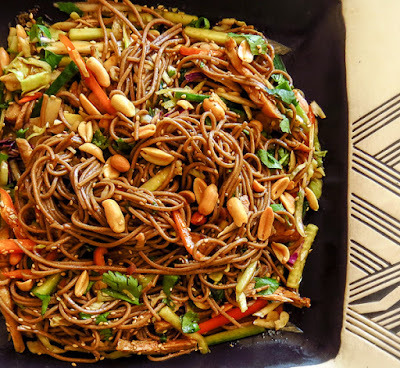 Smooth buckwheat noodles contrasted nicely with the assorted vegetables and peanuts for crunchy, toothsome bites, and it all came together quickly with ingredients already on hand. Win! 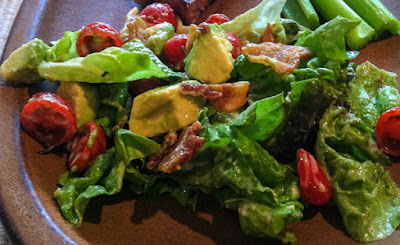 It might even be healthy, but today it was all about the taste. Half a package of noodles filled two bowls at lunch with enough left for another meal, or to use as filling for Asian pancakes or Thai spring rolls. Slivered chicken, cilantro, onion, red pepper, cucumber, and cabbage are ready to go. One lunch noodle bowl and a platter of leftovers to enjoy a another meal. Whisk together the sauce ingredients; taste and adjust as needed (RL added lime juice to his bowl). Place in a large, shallow bowl and set aside. 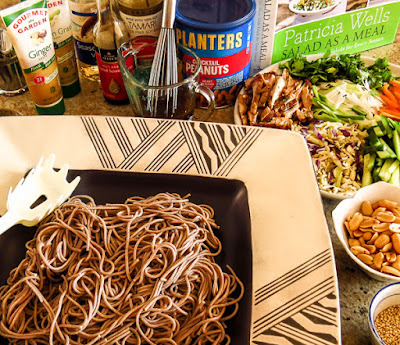 Add the soba noodles to a large pot of salted, boiling water; stir to prevent noodles from sticking. Cook according to the package directions until tender, about 4 minutes – keep an eye on the pot and adjust heat to avoid foaming and boiling over! Drain in a colander, then rinse thoroughly until the water runs clear. Rinsing is important, keeping the noodles from sticking and clumping. Drain thoroughly. Add the drained noodles to the bowl containing the sauce. Toss to coat evenly and thoroughly. 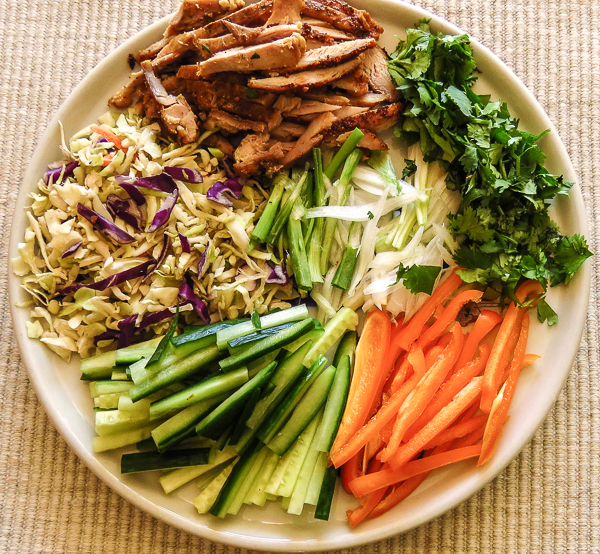 Add the chicken, scallions and sliced raw vegetables; toss to mix and distribute the sauce. 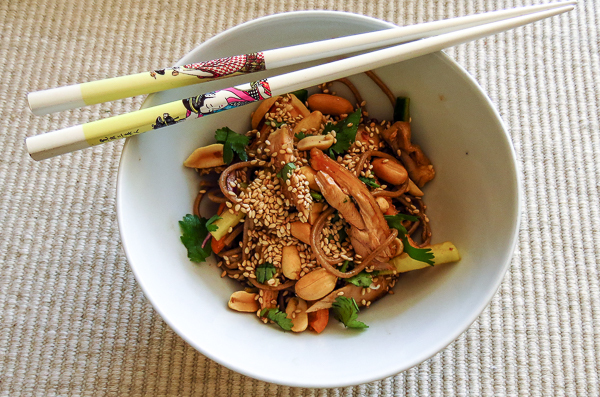 Garnish with the sesame seeds, peanuts and cilantro. 1. Any leftovers will incorporate well into an Asian pancake/omelet or make a great filling for rice paper spring rolls. 2. Serve with lime wedges for an added pop of flavor. Spring rolls are the way to go with leftovers. The Asian omelet was edible, but nothing to get excited about.